Roofs are expensive to begin with. Replacing them can be even more expensive, when you consider the tough job of removing the existing roof to make way for the new one. If you’re a property owner, then it is in your best interest to avoid a roof replacement for as long as you possibly can. The best way of doing that is to maintain your flat roof properly. That means cleaning it regularly and repairing it as needed, before small problems erupt into larger, more expensive problems. If you notice that it might be time to pay your roof some TLC, then you will be thrilled to know that fixing a leaky flat roof is simple enough for you to do yourself. First, flat roofs in most cases are easy to walk on, but getting up there can be a different story. If you do not like heights or are unsure about climbing up and inspecting your flat roof, call a professional Phoenix roofing contractor. Find problem areas. 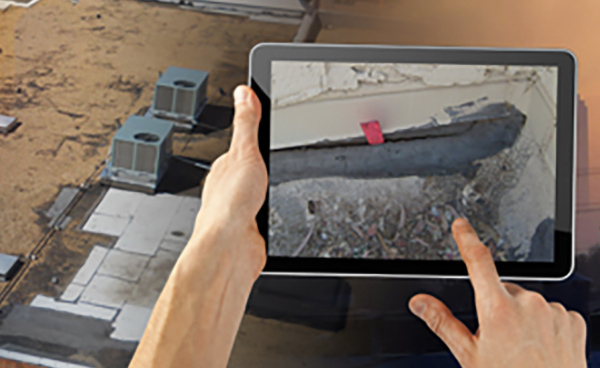 Of course, the easiest way to find a roof problem is to identify the source of the leak from the inside of your home or business. However, you can also easily spot roof problems on the outside of the property, especially if you know what to look for. Carefully walk the entire flat roof. Inspect the roof drains and/or through wall scuppers. Then look at every roof penetration. Look for gaps or cracks around these areas. Using a spray can mark the areas that concern you. Remove Roof Debris. This part is super easy. Make sure your flat roof has zero debris on it. Sweep all the debris into piles and remove from the roof. Second, using a blower, blow the entire roof off. This could get dusty. If you want to take it a step further you can power wash the entire flat roof. Repair damaged areas. No matter if you have a foam roof, rolled modified bitumen roof or one with a roof coating I would used a silicone or elastomeric type product like; APOC’s Silicone Armor Flash or Western Colloid’s Elastic Cement both are usually available at a roofing supply house. Henry has a good elastomeric product called 289 White Roof Sealant usually available at a big box store like Home Depot. Using a trowel or brush seal every pipe and penetration in a circular movement. If you have a foam roof system there is a great YouTube video on repair splits you can click this link: Phoenix Foam Roof Repair. For those more experience you can seal your scupper areas. Make sure not to put too much on and block your roof’s drainage. There is a lot to think about when it comes to roof repair and replacement. 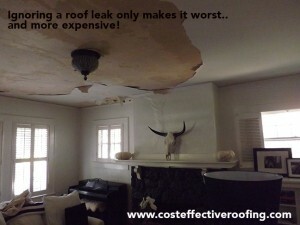 To put your roofing project into the hands of a roofing contractor you can trust, visit www.CostEffectiveRoofing.com. This is a great roofing website full of useful information to help you make the most informed roofing decision possible. 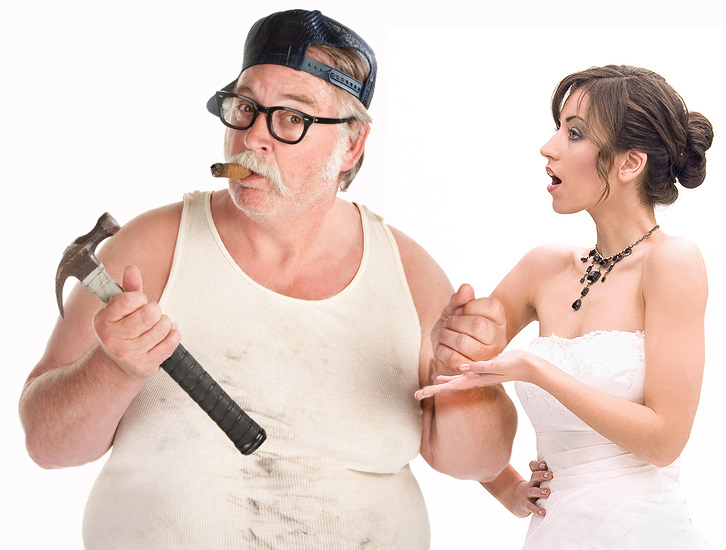 There is even a FREE downloadable book on choosing the right contractor. Whether you have a house in Scottsdale, or Mesa or a commercial building in Phoenix or anywhere in the Valley of The Sun you should treat your roof like your car… The longer you ignore that “check engine” light the more your car deteriorates. Eventually, your car breaks down, the cost to repair gets expensive and the value of your investment drops and eventually you need to get a new car. so that is why roof repair in the Phoenix metro area is so important. Regular roof inspections are an important part of maintaining your roof. 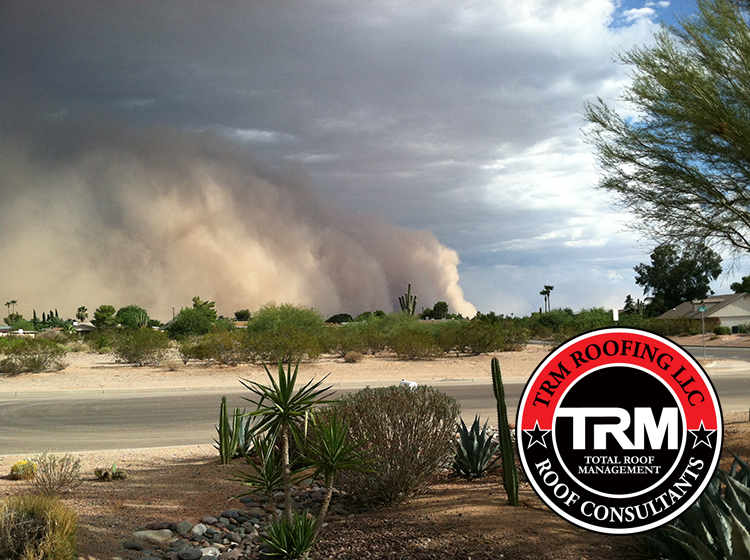 Our Arizona desert weather can wreak havoc on the roof of your home or business and can deteriorate the roofing materials faster than many may realize. Because we think it doesn’t rain much in Phoenix, it doesn’t mean our Arizona sun is not deteriorating our roofs on a daily basis. This adds to the importance of repairing your roof in a timely manner. Ensuring proper maintenance will also extend the life of your roof, effectively lowering the cost of that roof over time. When the sun is out no one really thinks about their roof, as soon as it rains EVERYONE becomes conscience of their roof and its condition. With a lack of roof repair and Phoenix roof maintenance, our harsh desert sun will greatly damage the quality and value of your roof. Timely roof inspections, roof repairs or roof maintenance can keep your Phoenix roof cost-efficient and functional. To procrastinate and avoid calling a professional Phoenix roofing contractor can cost you money in the long run. Every Phoenix roof has it’s own special issues; tile roofs can hide a myriad of issues, while looking good on the outside. Flat roof and shingle roof leaks usually can be spotted and in most cases easily be repaired. Remember, 7 out of 10 roofs can be repaired!